Can I Get Divorce Debt Knocked Out In A St. Louis Bankruptcy? It depends on two main things: 1) which chapter of bankruptcy you file; and 2) whether or not the debt in question was jointly held between you and your ex-spouse. Debt that you incurred jointly with your spouse while you were married (like a credit card or loan) can almost never be discharged in a St. Louis Chapter 7 bankruptcy. So for instance, if the family court judge in your divorce proceeding ordered that you pay unsecured debts that were in both your names (again, like credit card debt), then those debts cannot be knocked out in a Missouri Chapter 7. The policy behind this decision is in place so as to insure that people do not get out of such debts so easily. You can still file a Chapter 7 if you wish (so long as you qualify for one otherwise), but those debts will not be removed. On the other hand, the situation becomes a lot different when you file a St. Louis Chapter 13 bankruptcy. This type of bankruptcy is described as a repayment plan over the course of three to five years during which you pay back certain debts. These debts would include mortgage arrearage, car loans, tax debt, and back child support (and perhaps a portion of your unsecured debts, such as credit cards, medical bills, and payday loans). In a Missouri Chapter 13, divorce debt can be discharged. This is because the “super discharge” provision that the Chapter 13 allows for. So long you complete the entire repayment term (which is again between three to five years in length), you can get the otherwise non-dischargeable divorce debt knocked out. But knowing when in fact you can get certain debts taken care of when you file a St. Louis bankruptcy is very important. And the only real way you will know for sure (aside from reading well written blog entries) is to talk to an experienced St. Louis bankruptcy attorney. The affordable St. Louis bankruptcy lawyers at Brinkman & Alter, LLC have been helping people with all of their debt-related issues for over ten (10) years. Our goal is to make sure that you keep all of the assets you want to retain, to get rid of all the debts you want to discharge, to stop any and all wage garnishments, home foreclosures, bank levies, and lawsuits. And we want to do it all for an affordable price: the fees for a standard Chapter 7 are $750; and for a Chapter 13, there are no upfront fees (just the filing of $281). We have two locations: in the Central West End, at 1 North Taylor, St. Louis 63108; and in the Twin Cities of Festus / Crystal City, at 1000 Truman Blvd (Highway 61/67), Jefferson County 63019. 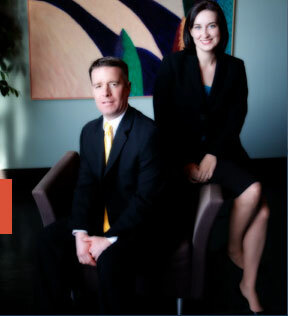 We offer a free initial consultation to discuss your legal affairs. So contact us today to learn more! !